Umineko Question Arcs Physical Edition Now On Sale! 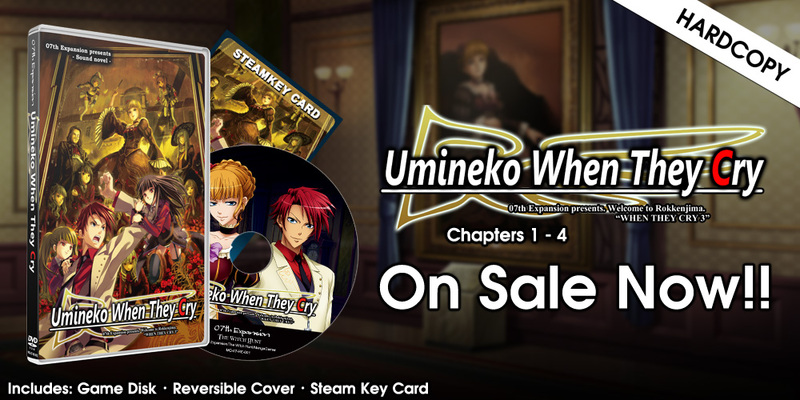 You can now pick up the first four chapters of Umineko in hardcopy! The physical edition features the first four chapters of Umineko, a reversible cover, and a Steam key––and you can pick it up right now! 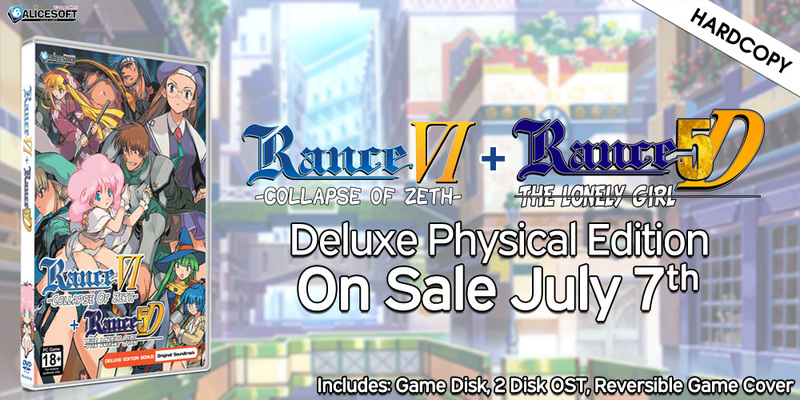 Rance VI + 5D Deluxe Hardcopy On Sale Now! Rance VI + Rance 5D Deluxe Physical Edition is now available on MangaGamer.com! Funbag Fantasy Hardcopy Now Available for Pre-order! Free Friends 2 Hardcopy Now Available for Pre-Order! The physical edition of Free Friends 2 is now available for pre-order! On sale March 24th! 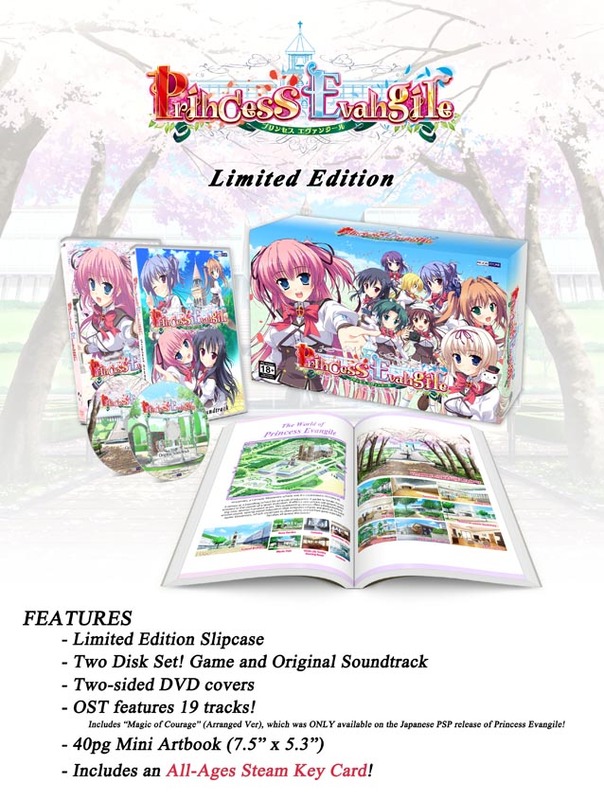 Princess Evangile Limited Edition Hardcopy Now On Sale! 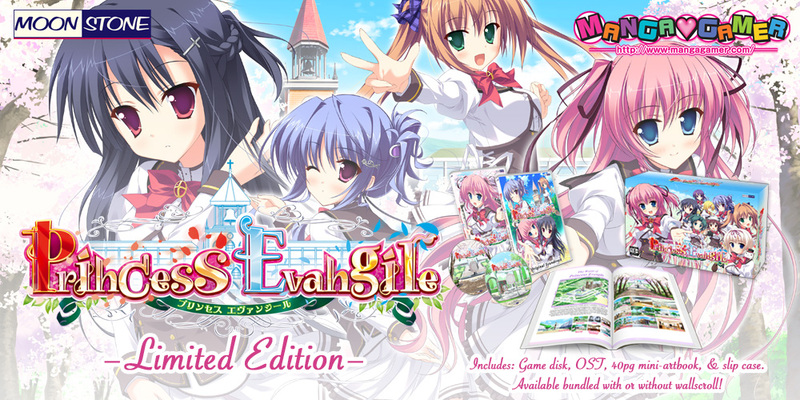 The limited edition hardcopy of Princess Evangile is now on sale! Snag it with or without the limited edition wallscroll (or just grab the wallscroll by itself!). If you preordered before the 23rd your order is probably already in the mail (or maybe you’ve even received it already). It is a limited edition, so quantities are limited––pick it up while supplies last! Princess Evangile Hardcopy Preorders Open! 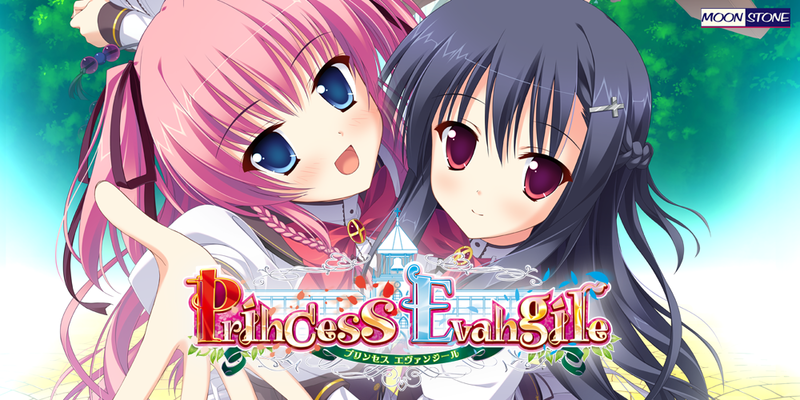 We’re excited to announce that we’re going to be releasing a limited edition hardcopy for Princess Evangile! The limited edition will come with the game, the soundtrack, a 40 page mini-artbook, and a Steam key for the all-ages version! Preorders are now open. Expect it out on December 28th. You’re probably wondering why the release date is so far off, well… we’re doing something a little special this time around. In addition to the limited edition of the game, we’re going to be producing a special wallscroll––a wallscroll you all are going to be selecting the design for! From now through next Monday head on over to the Princess Evangile Election Page to vote for your favorite Princess Evangile girl. The winning girl will be featured on the wallscroll––which you’ll be able to preorder with the limited edition of the game at a discount, or purchase on its own. We’ve provided campaign banners on the election page so you can help get the word out to promote your favorite. The winner and the winning design will be unveiled next Tuesday! 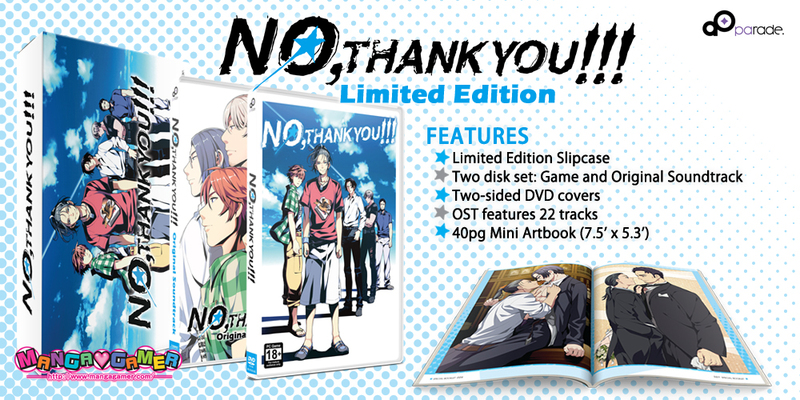 We managed to fit the four short stories from the original Japanese release of No, Thank You!!! into our hardcopy’s mini-artbook. While we didn’t have space for it in the hardcopy, parade was kind enough to give us a fifth one (previously only published in the game magazine Cool-B), so we thought we’d share it you all today. This particular short story was originally published in Cool-B Vol. 54, March 2014 Edition (Released February 4th, 2014) as a belated birthday celebration for Kouichi. If you enjoy this one, there are four more in our Limited Edition Hardcopy of the game! If you happen to be going to Anime Expo, you’ll be able to snag a copy a little early, and pick up some other merchandise while you’re at it too. I’m just going to have to play a prank on you now! But if his hand slips while he’s holding that ice pick and someone gets hurt, that could be a problem, so I’ll wait for a break during work and… wait, he’s not even reacting to my silence. I’ll get you for this, Hiroshi! This is what you get for ignoring me!